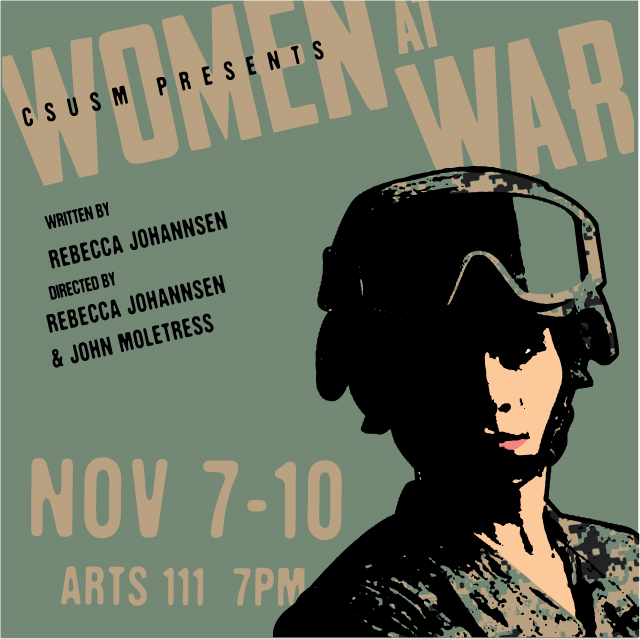 Playwright, Rebecca Johannsen, debuted the latest edition of her play, Women at War at CSUSM on Nov. 7. 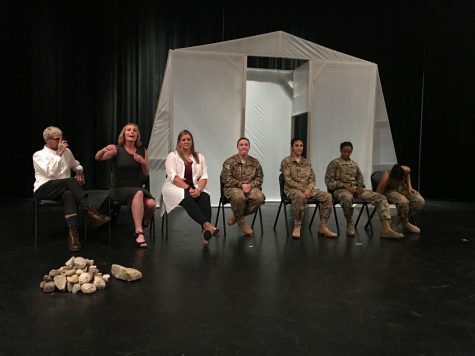 The play retells the true stories of four women soldiers from the U.S. Army’s Female Engagement Team (FET) that was deployed to Afghanistan from 2012 to 2013. These four soldiers were played by Sheradyn Luro (soldier 1), Joy Cooper (soldier 2), Brittany Escobedo (soldier 3) and Nina Watts (the captain); all students at CSUSM and Palomar College. The FET was created to bridge cultural gaps between the American soldiers and Afghan women villagers during the war since men weren’t allowed in the women’s area of the home. With little on the stage besides a plastic tent-like structure, a pile of rocks and projection screenings, the attention was placed solely on the actors and their monologues and Watts’ periodic dancing around the actors. They spoke of not being able to help villagers and seeing women and children die as a result. 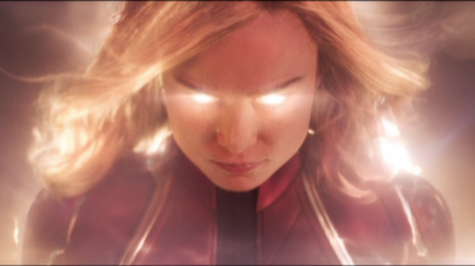 They yelled about being treated as less than capable when compared to their male counterparts. At times crying, the women gave an emotional retelling of what the soldiers experienced in Afghanistan. The four women displayed the human element of being a soldier at war; touching on post-traumatic stress disorder, depression, alcoholism and other mental health issues. This was one aspect that drew Johannsen to CSUSM when searching for a theater to produce Women at War. “With the large military population that attends here, it just seemed like a natural fit to engage in this conversation. I was born and raised in Carlsbad, so it’s very close to home,” said Johannsen. 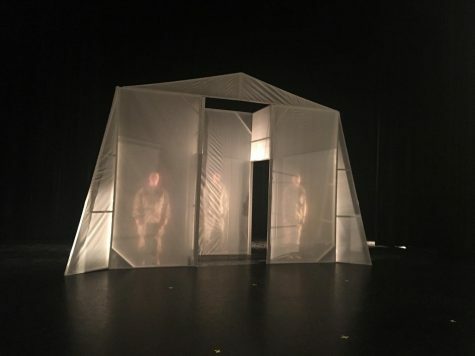 Program Director of Theater, Judy Bauerlein, invited Johannsen to CSUSM to work with students and experiment with the play in a low stakes level. The play began as a one-woman show in Edinburgh with all four characters performed by Johannsen herself. 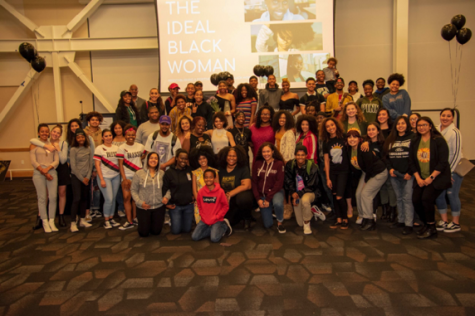 Bringing Women at War to CSUSM was a way to “work out the kinks of it all” and acted as a stepping stone to hopefully using a professional cast in the future. The cast of Women at War set up for their first scene on Nov. 8. The cast of Women at War sit in a panel with the writer and directors to answer questions on Nov. 8. “This has definitely laid the groundwork for what we’re going to do with [the play] next,” said Johannsen.